Owner John, his son and the enire staff are a class act. They all made me feel comfortable as soon as I walked through the front door of their office. I feel like I've known them for years. I ran into a bit of a situation with my previous car and a previous dealer. John looked out for my best interest and pointed me in the right direction every step of the way. I ended up buying a great car with no hesitation at all. They even picked me up and gave me a ride back to their dealership after I sold my old car. Again, a class act. Lynnhaven Motor Company is an asset to the industry! I recently had the pleasure of purchasing a 2015 Nissan Pathfinder from Lynnhaven Motor company. I am a repeat customer, and for a reason. Just when I thought I couldn't beat my last experience in buying a used vehicle from these guys, this time it superseded all my expectations. John and his staff are a first class operation. They make purchasing a vehicle fun and exciting. The environment is warm, positive and user friendly. John takes the Buyer's defense out of car buying and makes it all a team effort. At Lynnhaven Motors there is passion for doing right by the customer that I have never experienced anywhere else. I not only enjoy the purchasing experience but also I enjoy stopping by the office and just talking to John about anything and everything. John is by now considered a true friend of mine, and a heck of a family man. Lynnhaven Motors is an extension of John's family, where everyone is a welcomed guest. When it comes to customer service and satisfaction, Lynnhaven Motors is the ultimate experience! This is part 2 of my review. Now this part is when I truly saw how genuine and honest these people are. The sales representative confirmed to me that it was a beautiful vehicle but that he did want to bring a few things to my attention at which point he proceeded to point out a few extremely minor surface scratches that could simply be buffed out and one door ding on the passenger side that was so tiny I hadn't even noticed it, of course little things like that were expected in an already 3 year old vehicle. I thanked him for his honesty and asked if we could take it for a test drive at which point we exchanged the keys for my I.D. and off we went. This car drove perfectly, there were no issues with it all around, I had finally found my dream car I had been searching for. We returned to the dealership and parked the vehicle and met our sales representative inside the office where we were immediately greeted by the owner himself and we were offered drinks and seats. As we went over the cost of the vehicle it was absolutely in my price range and that I was very interested in purchasing the vehicle. they showed me all of the factory warranties that were still valid on the vehicle and that would be included along with another extended warranty option that to me seemed totally worth it and I was seriously considering adding it but it would have pushed the price out of my range which was already 4,000 cheaper than any other Kia Optima of the same year. My wife and I had spent some time discussing whether or not to purchase the warranty at which point the owner stepped in and advised that as much as he would like to make some extra money on the sale, that he didn't think we needed it. he explained his reasoning as to why he didn't think we needed it and immediately put any question I might have had on whether or not to buy it to rest, saving us an extra 1400$. I had also explained to him that I had a pre-approval from navy federal for 12,000 that I had received a month and a half ago when I first began car shopping and that I could call and get it increased to cover the cost of this vehicle but that I didn't like the 10.49% APR that they had quoted me at which point John explained to me, "If you were my son I would tell you to wait, I would tell you to go back to the banks and shop around between a few of them and find a better APR because if you had a 3.49 on your previous car and your credit has only gone up since, then there should be no reason as to why they would quote you so high. I want to make sure that you won’t regret purchasing this vehicle and if that takes a few more days to ensure, I would feel much better. So go back to those banks on Monday, get a better APR rate and I will hold this car for you. I won’t take any of your money to hold it just simply shakes my hand and I will give you my word that a sold sign will go in the window of that vehicle until Tuesday". This honesty is something I would not have found anywhere else in this industry and because of his wise words and guidance I was able to find a better bank that offered my enough to purchase the Kia with an APR equal to my previous vehicle. That Monday we went straight there from the bank and purchased my new car. Now, I know that it has almost been a year now since I purchased my car from Lynnhaven Motors but before I ever write a review, I want to ensure that the product actually holds up and see if anything comes up after the purchase and I am extremely thankful to say that I have not had a single issue with my Kia Optima since the day I drove it off of the lot, it has traveled over 10,000 miles since then and it still runs just like the day I bought it and that is why I have given Lynnhaven Motors a 5 star review. John, my wife and I will be back very soon. It is time to trade in her VW Beetle for something even better, we got our eye on that Kia Soul you currently have! We look forward to seeing how you and the Lynnhaven Motors family have been! Thank you for such a high quality vehicle for such a competitive price! I purchased my 2013 Kia Optima EX Luxury from Lynnhaven Motors in June of 2016 after having a tire blow out on the highway sending me crashing into the barrier, totaling my 2012 Mazda 3. After recovering from the accident I had spent nearly a month and a half trying so desperately to find the next perfect car, searching countless dealerships, spending all of my free time test driving various vehicles until I had narrowed my search down to one vehicle, a newer Kia Optima. once I had decided on this vehicle I now needed to find one within my price range which seemed absolutely impossible to find at a dealership which I insisted on purchasing from because I wanted to have the warranties and extras that you can only get from a dealership purchase. I had to have searched over 50 dealerships looking for this vehicle, I went to half of them to test drive their Kia Optima in the hope that I could get them to bring the price down into my range so I could finally have my own vehicle again. I was losing hope in finding the perfect car until my wife had come across Lynnhaven Motors website and saw they had the one I had been searching for. We wasted no time in traveling to their location as we were there that same day and when I had arrived I became spectacle because I had been so focused on big dealerships with hundreds of cars but this was also the same day I learned that those big dealerships are truly a waste of time. We were greeted very quickly by one of the employees and unlike the large dealerships, this employee LEFT US ALONE which was a surprise since usually you can’t get rid of the sales person and eventually become annoyed with their constant sales tactic. my wife and I were able to find and look around the vehicle at our own leisure and the moment we wanted to look inside, the sales rep stepped out, unlocked the vehicle for us, and told us to take our time and if we had any questions or if we'd like to take it for a test drive to simply wave him over or join him inside to talk the financial side. now as you can imagine after searching so long for a vehicle I knew everything to look over before even considering a test drive so of course I took my time and looked over the entire vehicle and to my surprise I could not find a single thing wrong with it at which point I waved the sales representative over who came running with the keys and I informed him that the vehicle looks spectacular. LYNNHAVEN MOTOR COMPANY HAS A CUSTOMER FOR LIFE!!! Purchasing a car from Lynnhaven Motor Company was the best auto-buying decision I ever made. From beginning to end, the entire experience was nothing short of amazing. 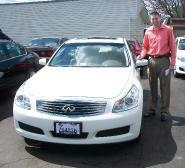 John treated me like family and offered me an amazing price on a used car. Even my extensive research could not find a more competitive price. The entire process was easy, and John went out of his way to provide a warranty to ensure my peace of mind - even though he clearly did not.have to. It is evident that john takes great pride in his family owned and operated business and has built a solid reputation on providing honest and fair prices to all of his customers. In addition, the car was beautifully detailed; it looked like it had just rolled off the showroom floor!!! I couldn't be happier with the way it looks and how well it runs! I absolutely recommend Lynnhaven Motor Company for the best possible deal on a used car and unparalleled customer service!! Thank you John and family!! I had the best experience here over ALL other used car dealerships. Great people, great cars. I will recommend EVERYONE looking for a vehicle to come here first. Great family business! Great service! Very knowledgeable. Great place to buy a quality used car. Definitely recommend Lynnhaven motors. 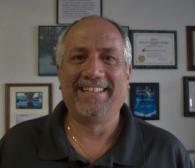 John and his team are honest and have the lowest prices on quality used cars. John helped me find just what I was looking for. Bought a 2014 vw passat with low mileage at unbeatable price! No pressure! I bought my Lexus from John Gabriel many years ago...super great person, his son's are working with the business now. We are family friends now AND I HIGHLY RECOMMEND getting your used cars or trucks from John. Best car-buying experience ever!! They are a family-owned business who treats their customers like family. I will buy my next car from them too! Couldn't have had a better experience. No pressure, Anthony was extremely informative and I feel I got a great honest deal. I would highly recommend them to anyone! Very professional, easy to work with and you leave feeling like family. Had an amazing experience. John went over everything in great detail and ensured that everything was in order. Highly recommend. They have amazing cars with the best prices!! Also the customer service is great!! Family run dealership, the staff here is extremely friendly and willing to help you out. No pushing to buy here and they really care about keeping a great reputation and providing great cars. The prices are very reasonable (much lower than other dealerships) and you are provided with a haggle-free price. John and his family is always helpful and they are the most trustable dealer I have ever seen. Definitely advise here. I bought 3 cars from him and never had any problems. The Best Company I have ever bought a car from. 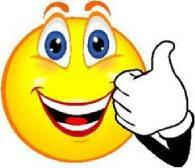 John not only gave me the best price in the area for my new car but he also helped me get financed at the best rate. I didn't think I was able to get financed for a car because my credit wasn't the best but John helped me get approved and was still determined to get me the best interest rate. Also John helped me get a great deal on Auto Insurance for my new car. I was originally going to use my current auto insurance provider which I had been with for 8 years but John recommended me to a representative at Geico. Geico ended up giving a rate that saved me $100 over my current provider. Thank you John, Eric and Lynnhaven Motor Company for everything. You guys are the best! Absolutely enjoyed my experience here! This is a family oriented atmosphere, laid back without the traditional salesperson mentality. Very thorough and I did not feel pressured into the purchase made...I bought the vehicle I truly wanted. After my car accident and finding out that my car was totaled, having an experience with this dealer was the light at the end of the tunnel that I needed. HIGHLY RECOMMENDED for all of your car buying needs!!! I bought my first car from Lynnhaven Motor Company over 2 years ago. As anyone buying a car for the first time I was a nervous and anxious of the car buying experience. I found this dealership online and was appealed by the inventory & prices. I live about a hour away from the dealership & made this my first stop when I began car searching. The owner John & his staff welcomed me and my dad with their professionalism & kindness. Needless to say as soon as I drove on the lot before even going inside to the office I had already picked out my car on the lot. The owner allowed us to test drive the car and I bought the car the same day! He made the car buying process very easy & smooth with no haggling. A few days after receiving the car there was a knocking sound under the hood. 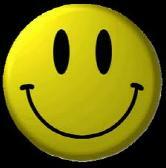 I contacted the owner & he fixed the problem free of charge & I never had any more issues. Just recently I had paint chipping on my bumpers from normal wear & tear of the highway & I contacted the owner John. He had me drop my car off & was able to get my bumpers repainted at a very reasonable price. The owner & his staff definitely go above & beyond for his customers to ensure complete satisfaction. I recommend Lynnhaven Motor Company to everyone! Car dealerships are the worst. They are. At Least for me they are. I absolutely hated the idea of never getting a price on a vehicle until the 'numbers were to be ran' in someone's office. I despise the whole aspect of negotiation. In my head, you desire a vehicle, so you research it , and bam, you know how much you want to pay. Easy as that. Well evidently it wasn't for 99.99% of the dealers I unfortunately dealt with. Now for that 00.01%? That was John at Lynnhaven. Honestly, it caught me off guard how honest and passive he was. It was so pleasant! He stocks popular cars it seems, all used, but in wonderful condition. And that was another thing! I knew I was buying used, but some of the used cars other dealers were selling were in such poor visual appearance. I mean horrid. Make up on the cloth on top of the car, dirty stained leather, melted buttons, small children smell. Nonetheless is was nice to see used cars that looked ...well new. I know I was going used, but I wanted something to be proud of, not something that I compromised with. So overall, he leads such a stress free environment. Sells lovely cars. And has wonderful deals. You can't beat it. If there was a correct, effective way to sell a car without hassle, that man has figured out. Don't sell junk. Don't harass a customer. And be honest. Now, in regards to my purchase specifically, I positively love my new Acura :)) under 23k miles, gorgeous and, of course, a great deal! John G was friendly, upfront and honest. Gave my wife and myself a rock bottom price on a used Lexus. John was very accommodating to a couple of out-of-towners (coming from NC) and was able to navigate the process with us excellently. John is definitely in your corner for the long game, and not just point of sale. If there's a make/model you have in mind, John is more than willing to track it down for you. At least 2 more customers came in for the Lexus that day while we were filling out the paper work, and John offered to get them a similar ES 350 in a week's time. We'll definitely be making the trip to the beach for future vehicles! Great family. Took car of a single mom in need. I love my car. Low miles, great price. What a great experience. 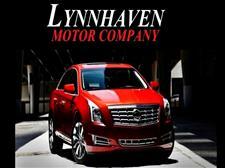 Go to Lynnhaven Motor Company. Do it. My boyfriend and I had SUCH a pleasant experience at Lynnhaven Motor Company. We really can't praise it highly enough. Firstly, the value of the cars for the prices they ask is unbeatable. We were looking at a Jetta at their place, and we truly loved it. We wanted to shop around a bit longer before we bought it, and so we headed to a bigger dealership and saw some more cars. We quickly found that for the miles and age of the cars, Lynnhaven Motor Company's prices absolutely cannot be beat. They gave us everything we wanted- low prices for gently used, quality cars with low miles. They keep a small profit margin, so their prices are just phenomenal. The other place had a very comparable Jetta for nearly $2,000 more! What is most important to us, however, is the quality and the integrity of service. At Lynnhaven, we test drove two cars completely by ourselves. They don't come with and sit in the back seat and deliver their sales pitches and distract you from experiencing the car. They just give you the keys and you go. You can walk around the lot forever looking without being hounded by sales sharks. It's clear that they trust the quality of their products to speak for itself, and you don't ever feel manipulated, pushed, coerced, or even bothered. It is so wonderful to feel like they truly respect your ability to make your own choices rather than some dealerships that are obviously trying soooo hard to push you one way or another. At the other dealership, when we wanted to leave, he told us their manager wanted to see us, and directed us to his office where they shut the door and had us sit in front of his desk. It was like we were being taken to the principal's office! It was such a coercive tactic, and we didn't enjoy it at all. Then, when we were finalizing the purchase at Lynnhaven, we just sat around and talked with John. He is so friendly, so helpful, and so kind! We had some questions about the safety inspections (we're from out of the state) and he called some people to quote us some prices for maintenance for our old car right on the spot, and he got us some great discounts. And instantly, whomever John trusts, we trust because he has such high standards, great integrity, and superb character. I cannot speak highly enough of our experience there! In fact, while I was there, I jotted down a few lines that John said about his approach to business. He said, "Relax, be kind, do the job right. And I know we'll get our share." And that's just what they do! So kind, and they do the job right! And they are not some greedy, money hungry sales sharks. They're genuine people trying to help you find a great deal! Go there! I have had my car for about 4 months now and I love it! Their service is amazing and there is no pressure to buy their cars. They let you look at them on your own with them watching over your shoulder. They definitely stand by their no haggle sign!!! I would recommend this place to anyone! John and Anton, I just wanted to thank you both again for all your help with my new car! I drove an older car inherited from my mother--a 1989 Toyota Cressida. The car served my family long and well, and when it finally came time to retire her, to say I was dismayed would be an understatement. Although the rest of my family tends to prefer driving SUVs, I feel most comfortable in a mid size sedan. Back in July my father helped me purchase a 1999 Jeep Grand Cherokee. Although the car is in excellent condition for its age, I never felt comfortable in this Jeep (e.g. larger than I care to drive, not as gas efficient as I would like). So, when my brother's Jeep (also a 1999 Jeep Grand Cherokee, in an odd twist of fate) finally gave up the ghost a few months later, I was more than happy to pass on my Jeep to someone who would appreciate it quite a bit more. However, I was more than a little apprehensive at once again having to shop around for a more suitable vehicle. Over the years, I've seen my parents purchase cars from large dealerships with salespeople who focus on high pressure tactics in order to close sales, and that was exactly the kind of experience I DIDN'T WANT. I don't like pushy salespeople, and I'm disdainful of people who will say whatever they think the customer wants to hear, all just to make a quick buck.  Thankfully, my experience with Lynnhaven Motor Company was the exact opposite--from the start, I could tell you genuinely cared about helping me to find the right car for me, as opposed to pushing me into buying a car out of my price range, or a car that may have been older inventory for you. I was impressed by your professionalism and excellent customer service, but even more impressive was the genuine sense of warmth and camaraderie I received. With attitudes like yours, it's easy to see why so many people are lifetime, repeat customers. I love my Camry, and I loved how easy the entire experience was ( e.g. no long lines at DMV) -- I could not have asked for a better time. So, efkharisto, and spasiba to you both for all your help, and I'll be sure to tell people about Lynnhaven Motor Company-- especially our fellow ODU alumni, right, John? John, you were the answer to my prayers, I'm a believer things happen for a reason. So, when an ad in the newspaper for a vehicle fell through for our daughter, a guy told us about his friend John @ Lynnhaven Motor Company. 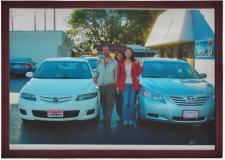 We checked out the website and 3 cars later (in less than 10 months) we are very happy and pleased with our purchases. John even helped us sell one of our vehicles, he really went above and beyond what we expected. We highly recommend anyone to go to John, he has the best prices, best deals and the best staff. You will not find a more honest, generous & kind person he is there for you, even after your purchase if you have needs or questions. I told him he is a part of our family now. After reading the online testimonies from satisfied customers, what I thought was most interesting was the fact that all of us had one thing in common denominator when you talk about John. Not only did you get a great price, deal, and service, but you walk away having found a really good friend in him, and that is customer service no one can beat. We will always be your repeat customer. Thank you John and Staff at Lynnhaven Motor Company...you are "The Best"...from the Love family of Newport News. John, I just wanted to drop you a note about how pleased I have been with our 2 car purchases from you. My son loves his Nissan and my wife is crazy about her Honda Civic. I really appreciate the way you stand behind your cars. I will be in the market again in the next few years and my family plans on doing business with you for many years to come. Please feel free to use this letter as a recommendation and also feel free to use my name. Great cars...great friends! We purchased 8 or is 9 cars from John and Lynnhaven Motor Company in the last 7 years or so. Not only great cars..but I found a great friend who not only helps us with all our car needs, we also sit around and laugh it off every now and then. Very reliable, very honest, don't hesitate to buy your car here. I have now bought 4 cars over the past 9 years from John at Lynnhaven Motor company. He is the most fair and reliable guy I have met. He will always make sure he gets you what you want and will make sure you are more than happy before driving off the lot. He even will help you with maintanance even years after, he will use his connections to get you better pricing on tires, brakes, etc. I have been sending friends and family to him for years and we are all very happy. I just purchased the 4th last week. John thank you for the new Infiniti! Talk about family business! Lynnhaven is a small, family owned (complete with the owner's locally sponsored baseball team photos on the wall) dealership in VA Beach. My niece found her "dream car" at Lynnhaven (through cars.com). Sales person Anton was kind enough to wait as we completed a 1.5 hour drive. After a test drive, a few questions and polite discussion, we were moving forward with paperwork. Niece is delighted and the proud new owner of an '08 Jetta. You can sense owner John Gabriel's genuine desire for a square deal when he speaks. He's the kind that fully understands how important word of mouth is and treats you in a way that will make you want to recommend him to your friends and family. Thanks also to Aaron for his assist and if the opportunity presents itself, we will definitely buy again from Lynnhaven. Thanks to these fine folks, this is the 3rd vehicle purchased here! 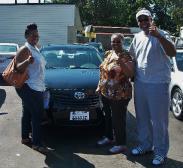 Thank you guys, our second car purchased here from Lynnhaven Motor Company! IF YOU ARE LOOKING FOR A CAR COME HERE FIRST! The cars, the service, and the prices can not be matched! When I first learned how to drive my father and I found a great car for the family and myself to share, a Volkswagen Passat. I loved the car and it had no problems. I would still have it to this day if it wasn't for a hit and run. :( Now I had to go find another car. I wanted to buy a car for myself, so I tried looking around at other lots but kept coming back to Lynnhaven Motor Company. This was a great experience thanks to John and his staff. The miles and quality of the car seem as if it is brand-new. I found a 2009 Camry with low miles at a great price. I ENCOURAGE YOU TO GIVE THIS PLACE A TRY! Take it from me, a two time buyer from this lot. Did I mention my sister's car is from here too! The cars and deals are just too good to buy anywhere else. Excellent customer service, unbeatable quality! I never thought I would find me a car dealer as genuine and as honest as John. This dealership is one of the few HONEST ones out there. The cars are in magnificent shape and he even lets you take it off the lot to get a diagnostic check before any money is exchanged. I found a 2008 Mazda 3 with power options for under $12900. Most of the cars have only one owner and look like new. Highly recommended to anyone looking for a great vehicle and an even greater value. Thanks again John and Anton. I found a G35 at this dealership via cars.com, went to take a look at it and test drove it and several other vehicles. I really had my sight set on the G35 but something in my gut told me to be cautious. John Gabriel the owner was very accomodating and helpful and his policy is to let your own mechanic check the vehicle out before purchase which i did. He even brought the vehicle out to my location which is about 25 miles away. The car had issues, some minor some potentially major so I passed on that one and instead bought a newer model, lesser mileage car. I also had this car checked out and it had no major issue at all and I really like it alot. The paperwork process went smoothly and all went as promised with John and his guys. it was a very good overall experience and I would reccommend this dealer to anyone and would go back as needed in the future. I would like to say that this is by far the best experience I have ever had in buying a car. By mistake, I ended up at the Kia place down the street who told me not to go to a place like this. I am so glad I did not listen to them!! I will never go to big car dealership again. No pressure sales and very laid back. The young boy who helped me was very knowledgeable and answered all my questions. I was so impressed, that I will definitely come back when I am ready to buy another car someday. This is a great place!!! John, I wanted to thank you for the 2009 Camry my daughter purchased recently. I cannot overstate how pleased that we are. The car is perfect, it is in excellent condition with such low mileage. Best of all the price she paid for the car is lower than anything we could find in Hampton Roads. In fact that could be said for all the cars on your lot. I also appreciate how we were treated as customers. We certainly will be doing business with you for many years to come. 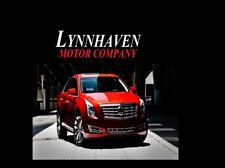 I most strongly recommend Lynnhaven Motor Company to anyone who is in the market for their next vehicle. Don't see what you want? John Gabriel will get it for you! He is very professional, personable, caring, and thorough. No, he is not a member of my family although in the short time that I've known him (1 1/2 months), that's how he made me feel. My car was just declared "totaled" in a car accident so I had to find another car fast and in a hurry before the rental was due back...as though buying a car isn't enough stress. John was able to remove that stress by assuring me he was going to take care of me. And he did! He told me not to worry about the rental because he would loan me one of his cars until I purchased one. He also allowed me to sit and actually watch the internet car auction, sharing some valuable car buying insight. Yes, he disclosed information that most salesmen/saleswomen would consider previous. I was able to get the car I wanted at a price I could not had afford on any other car lot. I will be back to purchase my next car. I would never have imagined that purchasing a used car could actually be an enjoyable experience. Lynnhaven Motors is not your typical used car dealer. They have a great product selection to choose from with absolutely no sales pressure and no hassle. John Gabriel is a true gentleman: honest, fair, courteous, patient, and genuinely interested in selling you the best car at a very fair price. After purchasing a car from Lynnhaven, I will not even consider going to any other dealer. I highly recommend that you stop by and see for yourself. 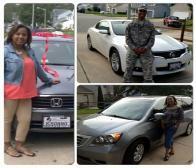 I purchased my 4th car from Lynnhaven Motor Company this past month. There's no way I will ever look anywhere else. John is not only a courteous, kind man, he will always go out of his way to help. Even if they don't have the car one is looking for, he will look to get it for you. Anyone looking for a solid used vehicle at a fair price please give this place a shot. Highly recommended! John and the rest of Lynnhaven Motor Company are great! My husband and I had a very nice and relaxed experience! No one was being pushy (like how some dealerships can be), and they were always helpful when we were looking at and testing different cars. We finally decided on our 2010 Mazda 3, and love it! 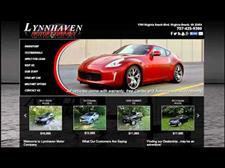 We will definitely tell our friends to check out Lynnhaven Motor Company. Again, thanks so much to the staff at LMC! Dear John, John and I just wanted to say thank you for finding our Camry. We really appreciate all the time and effort you spent in finding just the right one for us. Your straight-forwardness and honesty made our car purchase a comfortable experience. John Gabriel and his family owned company have been more than accommodating to us after we bought a 2012 Hyundai Sonata from him in March of 2015. We've had a couple minor issues with the car (nail in tire), so we called John & he took care of us right away. We are more than pleased with the experience we've had with them. We loved their "friendly, no-haggle" policy. It made the car buying experience very straight forward & stress free! Dear John, I just wanted to take a minute to simply say thanks for all you have done for our family. You are amazing. In today's world it is very hard to find people that care of what their customers need and do something about it with absolutely little to gain, and with such passion. Needless to say I will be more than happy to refer you to all my family and friends. All three cars are doing fine! Not that I'm in any rush, but we will see you again when we are looking for our next car. Respectfully, R.W. John, I just wanted to write to let you know that the Avalon has been absolutely terrific. In another year or two, we will be looking again, and we know where would look first- to you and Lynnhavenmotors. I just bought a 2008 Toyota Rav 4 today and it was a very good experience from John, no pressure from any person that allowed us to test drive any vechicles for the amount of time to make a decision. He went over all the paperwork and made me feel good about my purchase. John, Thank you so much for your kindness, generosity, and compassion. I truly appreciate how far you have gone for...beyond selling a car to me. I will always buy my cars from you. Love and blessings. John, I purchased that 2007 Charger from you guys back in April of this year! I just wanted to let you know how extremely satisfied I am with my purchase and I feel blessed to have found you and your dealership to give my business to. I've let all my family and friends know about my pleasant experience, and most of all, the unbelievable value and quality of your vehicles and I recommended you highly! 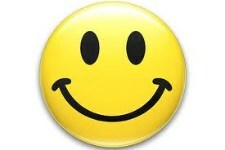 Just wanted to thank you once again for being understanding and honest with me, as well as entertaining!! LOL!!! You are quite a guy, and I have a smile on my face every time I tell of my experience and in answering questions like "how was the salesman? ", or "how was the experience?". Continued success to you my friend! I just bought a Toyota Rav 4 from John and it was a great buy experience, no pressure, take your time and research which car will work for you. He went over everything and make sure that you feel satsifed about the buy. Lynnhaven Motor Company turned my first car buying experience into a trustworthy and easy going process. Before LMC, I was dealing with car salesmen that were pushy and, at some places, pretty shady. After another week of doing my research on the Internet, I found that Lynnhaven Motor Company had the lowest priced vehicles with the least amount of mileage. The cars looked in pristine condition, so I decided to check them out. I was extremely impressed with the cars, and even more so with the car-buying atmosphere there. It was laid back, there was no pressure, and everyone was super friendly and trustworthy. Antonio is a funny guy and is very knowledgeable, and John Gabriel and his son run a quality family-owned/operated business. I highly recommend coming here to buy a car if you want your experience to be fun and hassle free. My experience with Lynnhaven Motors has been a major turning point in my life. I was leery of buying a used car even though I knew it was the smart choice for me. I had been all over Tidewater to all the large dealerships and none of them were as honest and straight forward as John Gabriel and his staff at Lynnhaven Motors. I found an excellent used Toyota that with their assistance will last for many years. Lynnhaven Motors goes the extra mile to make sure you are happy with your car. This is the only place I will ever buy a car from again. The pricing is fair if not lower than Kelly Blue Book , the atmosphere is friendly... no pressure. You tell them what you want, and they will do their best to make you a happy customer. Lynnhaven Motors will make your car shopping a pleasant experience. Do you homework, but definitely buy HERE!!! I just picked up my 2012 Nissan Altima today!!! ONLY 19k Original Miles...Still Under Manufacturer's Warranty!! Let me just tell you this... GO SEE JOHN GABRIEL!!! He is the RIGHT person to get you into a VERY NICE car with LOW MILEAGE at a GREAT PRICE!!! VERY EASY FINANCING!!! NO HAGGLING NO FUSS NO PROBLEMS...LYNNHAVEN MOTORS COMPANY is just an AWESOME AUTO SALES DEALERSHIP to business with!!! Thank You Again John!!! God Bless!! Awesome place. No hassle no problem. They made my car buying experience easy and enjoyable. Purchased a quality vehicle at a great price. Thank you. Simply the Best, I have a lot of respect for this dealership. LynnHaven Motor Company is where my found my favorite car to date, my 2006 Hyundai Santa Fe in black just like I wanted. John Gabriel is a fair businessman that made me feel comfortable from the moment I met him. I can recommend this place all day long because it's simply the best. Lynnhaven Motor Company is a hidden gem. What a pleasure doing business at a low-pressure, honest dealership!! John Gabriel impresses me as a man of great integrity. I am in the market for a new car as rarely as possible, but I would not hesitate to return here or to recommend it to others. We love our new car and I would recommend that anyone looking for a car to start here first. The staff is easy to talk to and there is no pressure to buy a car. We got a 2013 CRV with only 28k miles. Their cars are in great condition with low mileage. BUY YOUR CAR FROM HERE !! A great company ! anyone who gives bad reviews (including dealerships) are wrong ! great guy, owner, great values, and great certified cars ! Great prices. John will beat the price of any car within 100 miles ! Nothing but positive vibes from that place. Not just from my salesman, but form every employee he had working for him. I purchased my second car from John, a 2014 Honda Accord with only 18K miles for only $16.7 . I will make sure my children buy cars from him. There were no hidden fees. I highly recommend Mr John Gabriel's dealership for its outstanding customer service!!! It was easy to sense John's friendliness and sincerity in helping us and we liked his down to earth, honest straight talk which was a relief from the usual high pressure sales pitch. John explained the history of his business and walked us through their procurement process. He provided extensive and relevant information about purchasing a vehicle and helpful hints in choosing reputable and dependable places for car maintenance or repair. I am now a very happy owner of a 2012 Toyota Rav 4!!! It looks and drives like new!!! Thank you John, and your team, particularly Cody and Anthony for your hospitality and kind service!! In looking for a vehicle we had an appointment with a large, well known dealership in Chesapeake. I had personally talked to a salesperson about a specific vehicle, which he told me was still available, & we went that evening. In arriving, with 2 little kids in tow I find out it was sold-over the weekend!! I called the next place, Lynnhaven Motors, they were closing at 7. Mr. John Gabriel stayed open so we could go look. There was no pressure, we were able to look over the car & talk at our leisure. He was friendly and accommodating. The condition, mileage & price of the vehicle was unbeatable! Unfortunately, for the size of our family the vehicle was smaller than what we wanted, & because our vehicle was totaled we had to buy quickly. We did not buy from Lynnhaven Motors this time, but highly recommend their genuine, family value, & caring attitude. We were exceptionally pleased with the customer service & that goes a long way in a transient town! That's why I chose to take the time to right a review even though we didn't buy!! Thanks again for a great experience! Outstanding customer service,very happy with my purchase,you guys did great job,I would recommend this place to anyone! I am soo impressed with the experience that my son and I received at Lynnhaven Motor Company . For a transaction that can usually be a grueling one (buying a car), the guys at Lynnhaven made it a great first time experience for my son. I was worried about the transaction as I was miles away in Illinois, I am a customer of Lynnhaven Motor Company for life, as well as my son. These guys are great with the military guys from the local area. Great find!! Went in yesterday looking for a lightly used vehicle. Anton was our sales person very knowledgeable and HONEST! - very hard to find when shopping for cars. This family run company puts customer satisfaction first, because they want your family business. We left today with a 2015 Subaru Legacy. We will be back the next time we are looking for a fair deal on a dependable car. I want everyone to know what a wonderful dealership this is! My daughter lives in Virginia Beach, while the rest of the family is in Massachusetts. Last year, her car was totaled and she needed to find a replacement. Buying a car, is an expensive proposition and there are lots of dealers who would take advantage of the situation. Luckily she found John and Lynnhaven Motor Company. John and his family were wonderful and since all of my dealings with him were over the phone, I had to trust my gut feeling that he was truly as honest as he seemed....and I was right! She loves her 2013 Honda Civic and it has been a great car at a very good price. He and his staff have continued to provide awesome service and anytime she has needed anything like an oil change, tires etc. I feel confident telling her to "just call John". I recently had a chance to meet John, his family and staff while I was visiting. I left feeling great, knowing that I can trust Lynnhaven Motors to take good care of my daughter's car, which is a huge relief to a parent who can't always be there!